Every year I write a "Goodbye 20_ _" post. It's a tradition that helps me to reflect on the year past and look forward to a new set of days, weeks, and months. It reminds me that so much can happen in one year and builds the muscle of gratitude in my heart. But when I remembered a few weeks ago that pretty soon I'd have to write a goodbye letter to 2017, my heart filled with fear. I questioned if I should even write it. I wasn't sure if I wanted to look back over the last year. So much unexpected pain fills the days, weeks, and months of 2017. It was a year of being bulldozed and blindsided. And who in their right mind would want to reflect on that? But it's also the year we became parents. It's the year we met our firstborn son. It's a year we've been blow away by community and astonished by God's love for us. It's a year I never ever want to forget. So, Jesus help me, I'm going to look back over the hardest year of our lives. I pray it helps me keep building that muscle of gratitude in my heart and that by God's grace I'll be able to look ahead to a new year with hope and anticipation. Like I said, a lot can happen in one year, right? So here we go. My parents moved to Long Beach and I now live about a mile from both them and my sisters - a childhood dream come true. We welcomed our niece, Noel Jordan Ranieri, into the family. 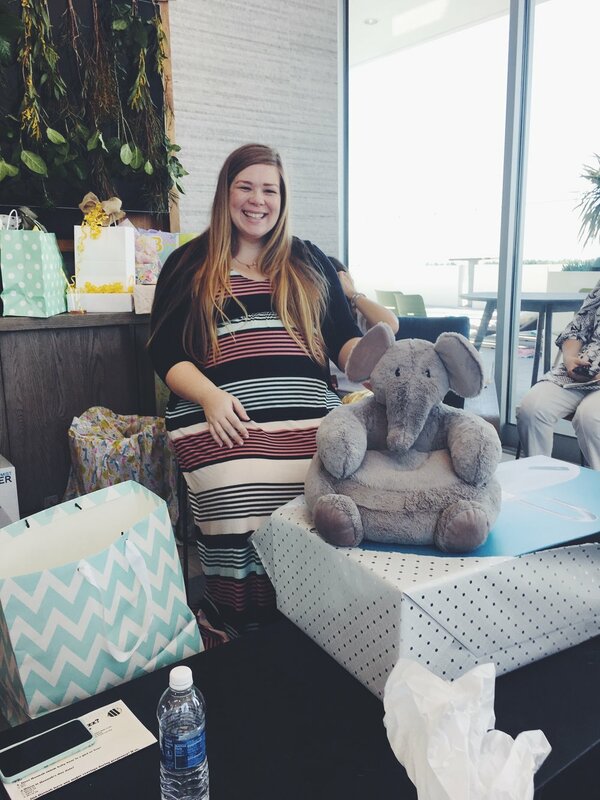 We celebrated our baby bear at two baby showers, full of intentional and thoughtful gifts and a bunch of people I love very much. 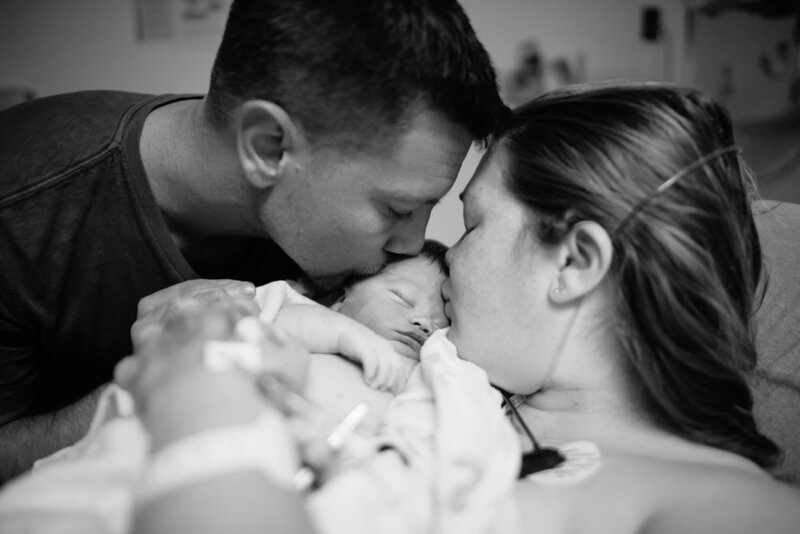 We welcomed Titus Kent Hagen into our family and moments later, released him into the arms of his Savior. One month later, we threw him the best celebration of life possible on Easter weekend. I had my gallbladder removed - my first surgery in the books (yet another thing I can thank pregnancy for). Watercoloring jumped onto the scene, providing me with a much needed creative and therapeutic outlet. Kent got his first tattoo so that he's always carrying Titus with him (read the story here). We welcomed our nephew, Noah Timothy Keith Marks, into the family. As always, we traveled a ton - to Spokane, WA and Coeur d'Alene, ID and New York City, NY. We made a pilgrimage up to Heart Lake in Mammoth to spread Ty's ashes alongside his grandma Cherie's. We did an infant loss remembrance walk for Titus with our friends and family while wearing his name on our chests and Kent's tattoo on our arms. We've celebrated two big family engagements - Kent's dad and my little sis are both getting married this next year. And let's not forget our therapy doggie! Harvey proved to be so many things we needed this year. We cuddled. A lot. We cried. He licked the tears off our cheeks. We cried some more. He ate our tissues. And for all those moments where we couldn't dote-on and dress-up our baby boy, our fur baby allowed some pretty over the top smothering. We spent hours of family time at the beach writing "Titus" in the sand and throwing the ball for Harvey. We survived tidal wave after tidal wave of grief, spent time in counseling and doctors offices. We took lots of time off work. Cried more tears that I ever thought possible. Spread ashes and packed away dreams. We experienced the power of community, the gift of friends who are willing to sit in and sort through the mess with us. We learned some hard lessons - how to celebrate in the midst of pain, how to dig in when we want to run away, how to face our doubts and our deepest fears. We were forced to let go of the illusion of control and declare day after day after day, "God we trust you with ... [fill in the blank]" (our family, our finances, our medical bills, our jobs, our hearts, our pain, our dreams, our precious little Titus). What we expected to be a year full of celebrations turned into a year of survival. The worst case scenario happened and has changed our lives forever. But God. He's preserved our faith. He's upheld our hope. He's been our rock, our comfort, our song when we have none. He's taught us what it looks like to grieve well, and how important it is to mourn when His good gifts are stolen. 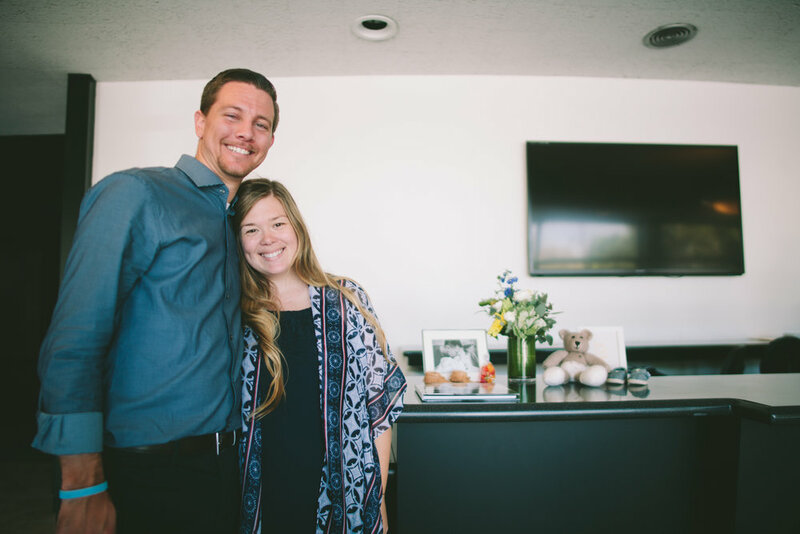 He's allowed us to experience firsthand what it means when the Bible says, "The Lord is near to the brokenhearted and saves the crushed in spirit." And I can honestly say that I have never felt so close to his heartbeat. It is as if He tucked Kent and me against his chest and there we could just cuddle up and listen to it - powerful and steady and full of love for us. It has been a holy experience. Even now, when I think back over all the pain, theres an unexplainable gratitude that fills my heart as tears fill my eyes. What a privilege - to be so near to Him. What a privilege - to be entrusted with this suffering, this story. Yes, this year we've been refined by fire. But I finally feel the embers beginning to settle. And what's left are purified, stronger, faith-filled Hagens than existed last year. I'm expectant going into a new year. Against all odds I'm hopeful. Here we go 2018. The Hagens are ready for you. BRING. IT. ON.